How I hit on two Atlantic articles in a week, I have no idea. On Sunday afternoon, author Johnathan Merritt posted an article on The Atlantic website that directly relates to my ongoing obsession to save our most important Masonic temples. 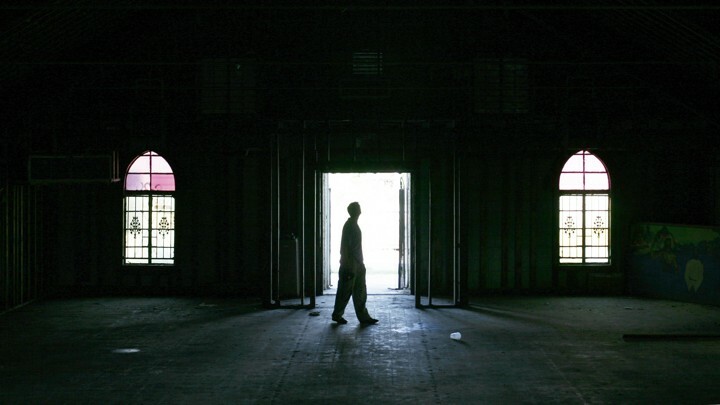 America’s Epidemic of Empty Churches is about large churches across the U.S. that have ginormous and significant buildings, often in downtown areas, and what happens when congregations can no longer afford to keep them. Just like our major Masonic temples, their congregations are substantially smaller today than when these buildings were first erected. Just like our Temples, they are infused with enormous sentimental value and neighborhood importance. Just like our Temples, they present peculiar challenges for adaptive reuse, taxes, zoning, infrastructure, parking, and more. Merritt's article talks specifically about what has been done with older church buildings in several cases, and not all of them result in selling off the building to outsiders and vacating the premisses. In order to test their idea, Duggins and Heath approached the pastor of White Rock United Methodist in Dallas about collaborating. Half a century ago, it was a massive congregation with robust weekly programming, a strong reputation in the community, and a 60,000 square foot building. But the neighborhood’s demographics shifted in recent years and church membership waned. Its combination of sprawling space and shrinking attendance made White Rock the perfect guinea pig for Duggins and Heath’s experiments. Missional Wisdom moved into the bottom 15,000 square feet of White Rock’s building and got to work. It converted the fellowship hall into a coworking space and transformed Sunday School rooms into a workshop for local artisans, including a florist and a stained glass window artists. It formed an economic empowerment center where the group teaches a local population of African refugees language and business skills. And it finished out the space with a yoga studio and a community dance studio. Today, the church building is bustling most days and the congregation is both covering expenses and generating revenue from its profit-sharing agreement with Missional Wisdom. Next, the Missional Wisdom team partnered with Bethesda United Methodist Church in Asheville, North Carolina—a congregation with challenges similar to White Rock’s. Together, they created a community center called Haw Creek Commons. In addition to coworking space, they retrofitted the building with a textile and wood-working shop, meeting rooms that are used by local business and AA groups, a retreat space that can sleep up to nine, and a commercial kitchen in the basement for local bakers and chefs. Outside, Missional Wisdom constructed a community garden, food forest, beehives for the Haw Creek Bee Club, a greenhouse, and a playground for the children who attend the school next door. There is zero reason why very similar uses cannot be found for Masonic temples, especially larger ones. And the ownership can remain in the hands of the fraternity on into the future. All that's seriously missing in most cases is creative thinking, visionary leadership, and a common goal to keep what is ours in the most responsible manner possible. See also: What's In A Building? Meanwhile, this story appeared this morning. 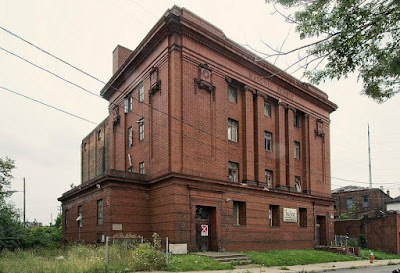 The beautiful Masonic Temple in Chester, Pennsylvania will soon be lost. 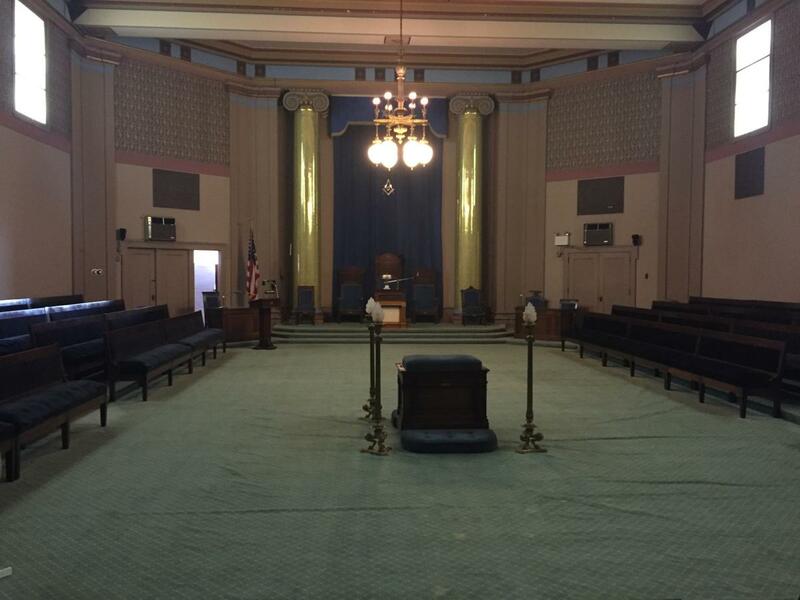 Chester Lodge 235 is moving out and merging with another one in Concord. 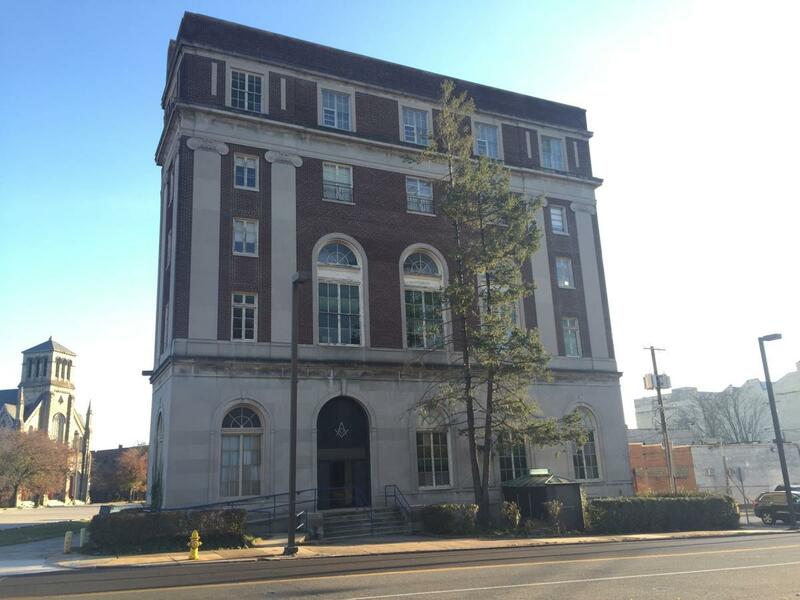 The building is to be sold.